“Wash Day” makes the front page! 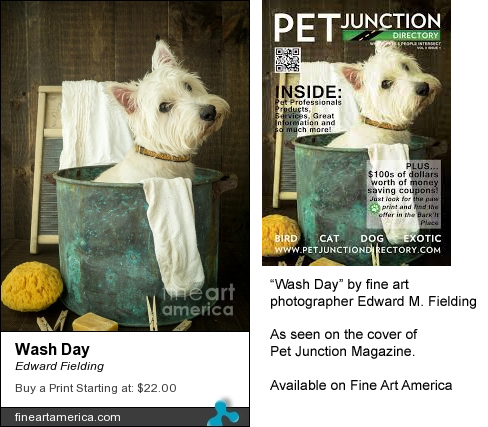 My popular photograph of Tiki the Westie getting ready for a bath has been featured on the cover of Pet Junction Magazine and distributed “vastly” though out southern Florida. “Wash Day” is a popular image on Pinterest with over 6,000 repins. The original image can be purchased on cards, prints, canvases and as framed artwork from Fine Art America. Click here to view “Wash Day” on Fine Art America.